← What Were They Thinking???!!! And speaking of godly figurines, I’m happy to report that my people (i.e. Mexicans) have finally done it. 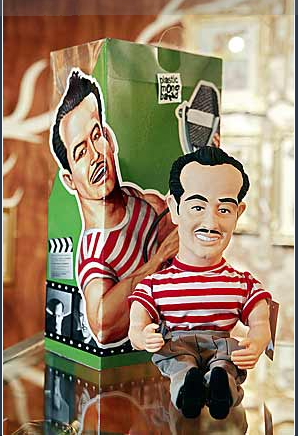 And by this I mean, a couple of nutty, very creative guys have come out with a vinyl-made collectible figuring of Pepe el Toro, that endearing character played by Pedro Infante in one of the most tragic and intense films ever made. Ever. Julio Iván “Rictus” and Juan Alarcón are selling their Pepe el Toro figurines like hot cakes, and are reportedly already preparing their next Golden Era vinyl hit: Jorge Negrete. But wait! what about Chachita and la Chorreada? what about La Guayaba y La Tostada????????? ?